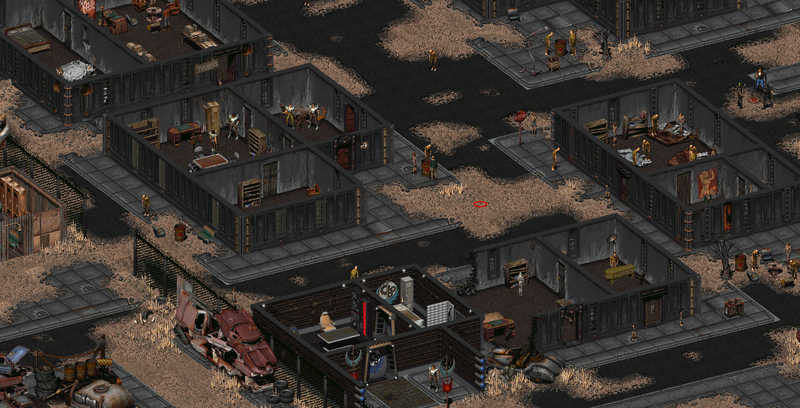 Discussion in 'Fallout General Modding' started by Nineeva, Mar 23, 2017. 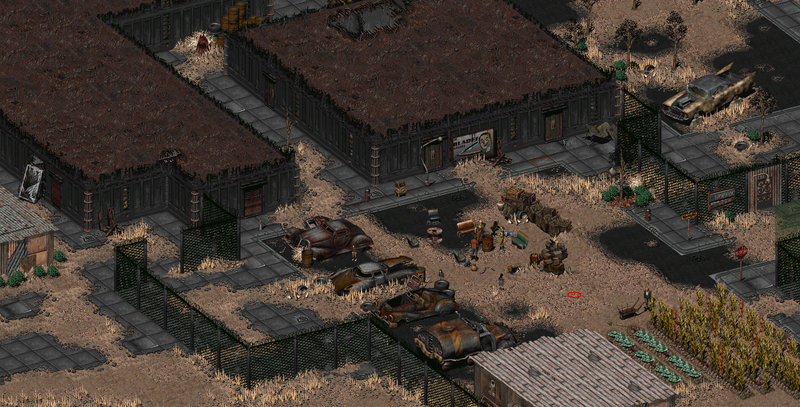 Years ago I made some big changes to the maps to make them feel more life like adding a lot more buildings and other bits to make the settlements feel like they are a bit more realistic (i.e. feel like a town rather than a place with only 12 people in it!). 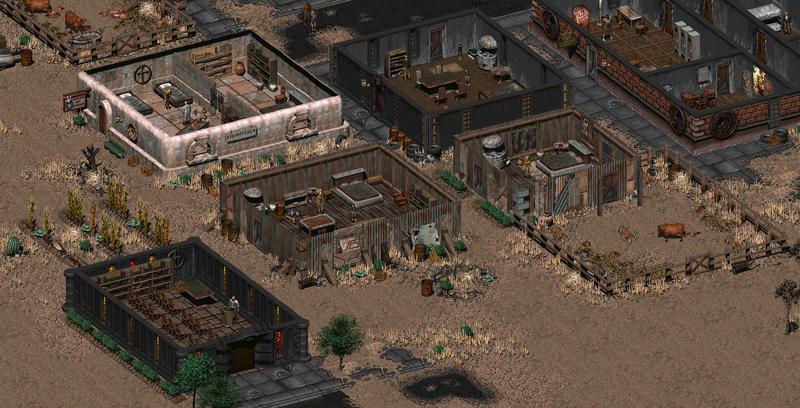 It should be 100% compatible with the latest Fallout Restoration project. Please see the drop box link below to download the maps, also there is a changelog which I'm still updating as I edited quite a lot and want to put screenshots of the changes with them so please bare with me. Also if someone does like them and, is good with script editing, would be nice if someone could add a few unique scripts to a few characters to create one or two unique rather than generic bar tenders and shops in several locations. Currently, I basically just used existing scripts for all the people I added, which isn't quite satisfactory to me. Might be nice to have one or two back stories added in for people to find. Added a large tent and normal size tent to village map and a few more villages to village map and bridge map. 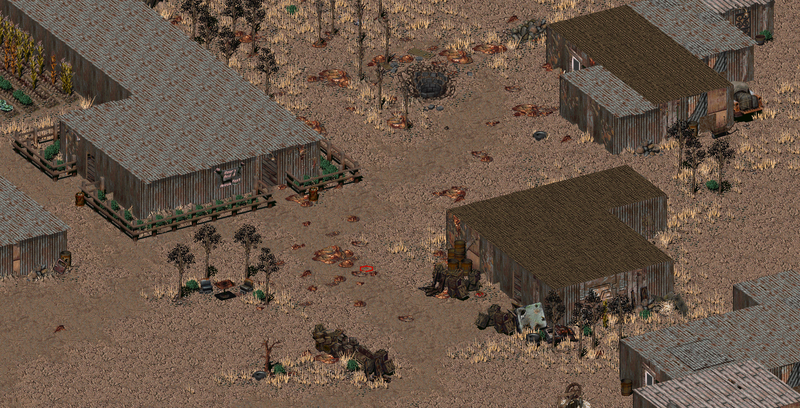 Also added some very basic items in some tents to find. 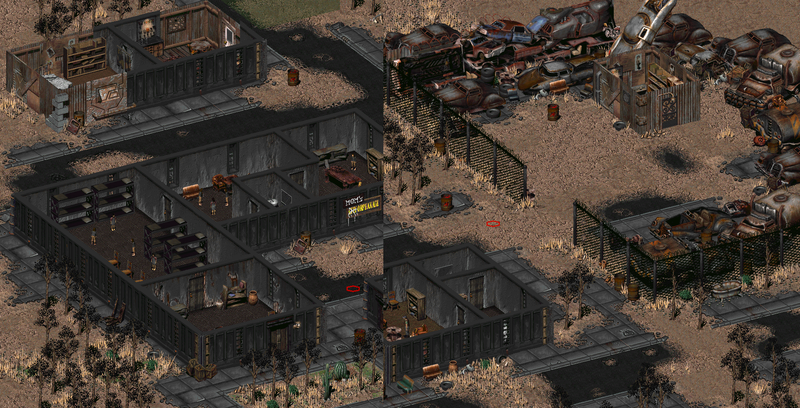 Added a new building just above Vic's home made our of a ruin reinforced with scrape to fix borken walls. 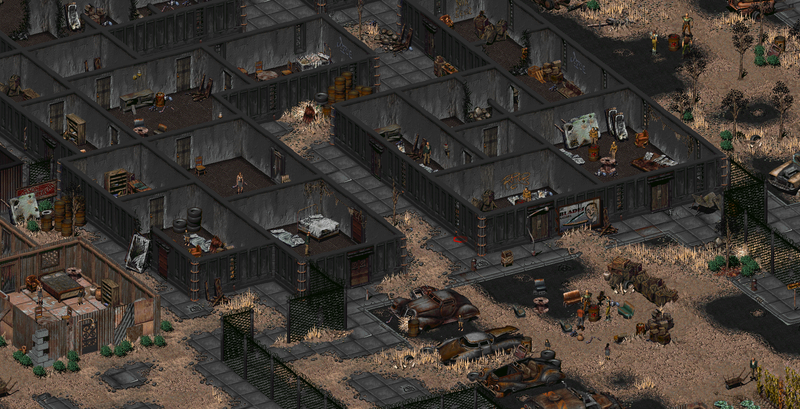 Added lots of homes to the 'mall' on the trapper town map, lots of slum homes and a farm to the south side. 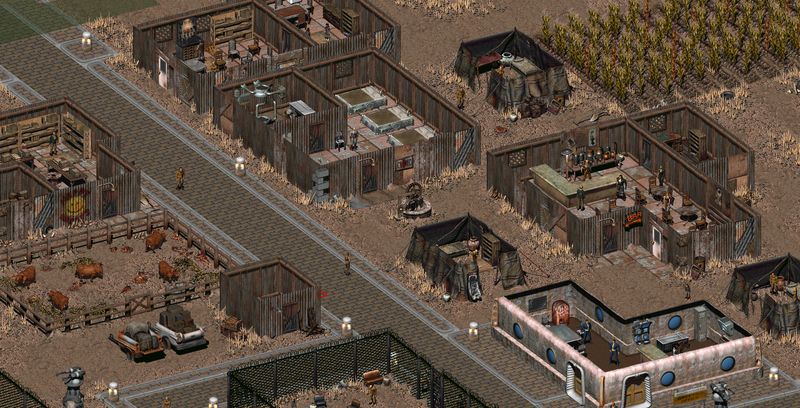 Made a bar area and some homes out of the unused buildings on the north side of the Trapper town. (this does mean you can get the car part bit a lot easier though! So may I will move this so it's harder again). 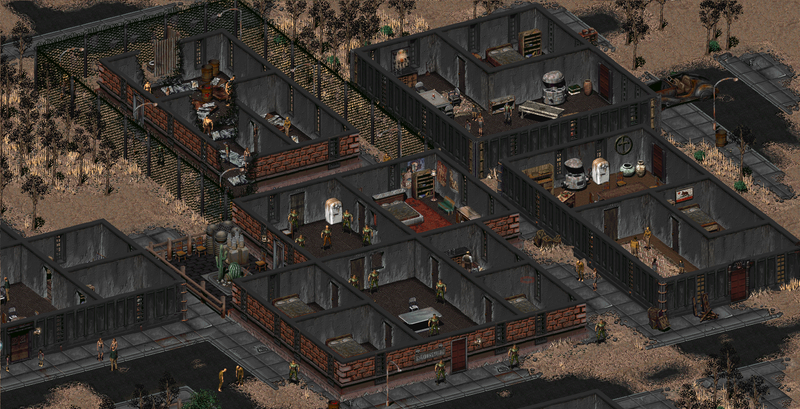 Added a bedroom on the first map to the BoS bunker to make it feel more real and some gear in the locker if you join them which you can use (not that you need much of it at that point!). 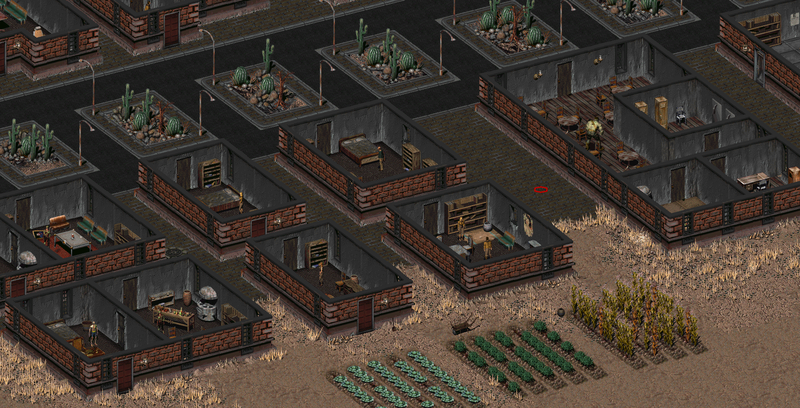 Added a house and repair shake which appear if you help make the orphanage to make it feel like the town improves in other ways once you finish this quest. Also the gangers house their becomes filled with a normal family, again making it feel like things have improved. 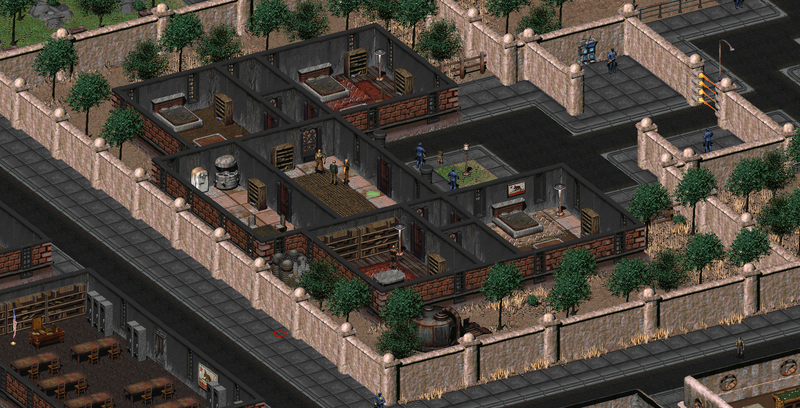 Added two large residences next to the slavers both merchants, one who makes his money from selling slaves to other settlements like Vault City and the other who hates the slavers and follows the ideals of the NCR and trades with NCR bringing in Brahman meat from Modoc and NCR (though not scripted to say this for now). 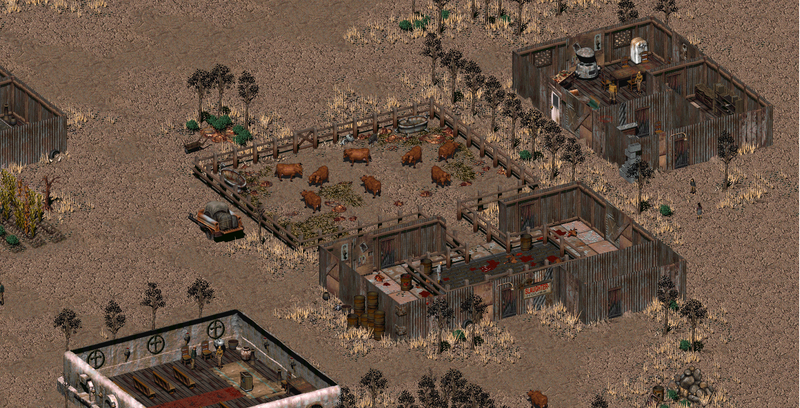 Added two farm houses and reduced the amount of crap that gets thrown round the map when the toilet blows up. 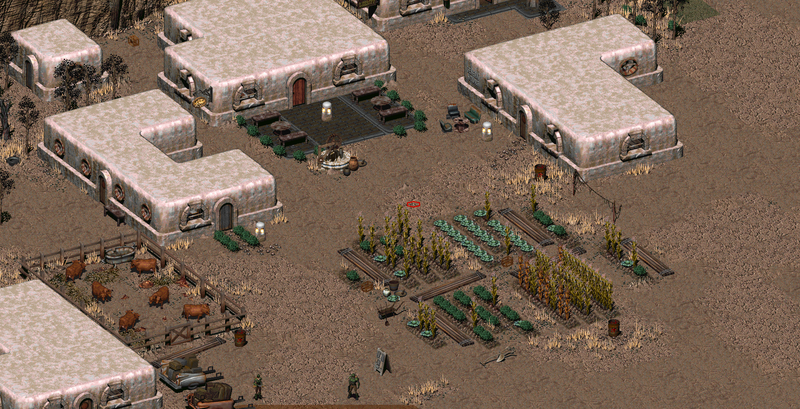 Also put in an extra farm house on the main map. 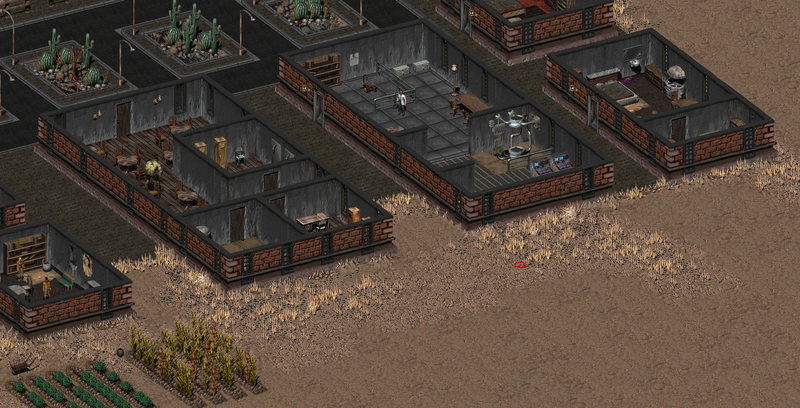 Added a new communal home in place of a park in the enclosed area. Changed what was a useless building into an apartment block which is inhabited. 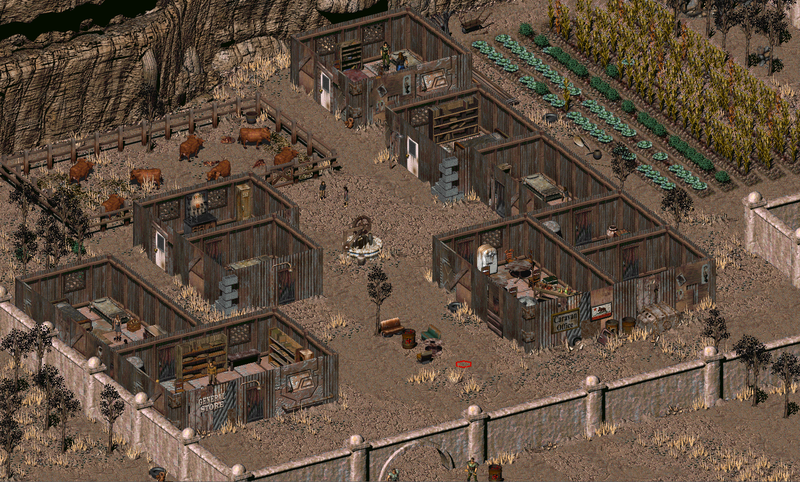 Place a row of 3 houses to the back of the house row to make it feel more populated with people/ghouls and a farm to the back. Added in 1 larger house to the end again to make it feel like more people live there. 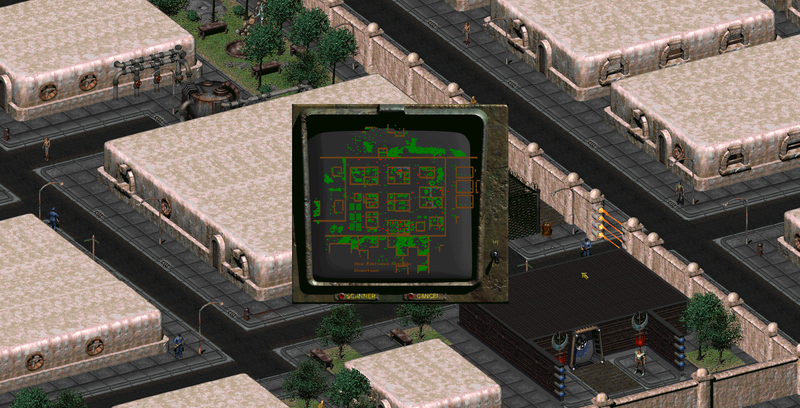 Added a school, a factory, a water plant, a billiards hall, bar, park and several house to the government area map to the south. Added a park to the main map which is also visible on the government map. Painstakingly made sure all maps correlate with each other as they overlap (this process was oddly satisfying!). The idea behind this is that it would become a tourist and research stop for memebers of NCR so should have somewhere they can stay, eat, buy things and trade. Edit: On post edition, there is a + button after the buttons for adding pictures and videos, that display additionnal options, including spoilers. Wow man, this looks awesome! Do you have some kind of ''changelog'' for those map changes? Looks impressive. 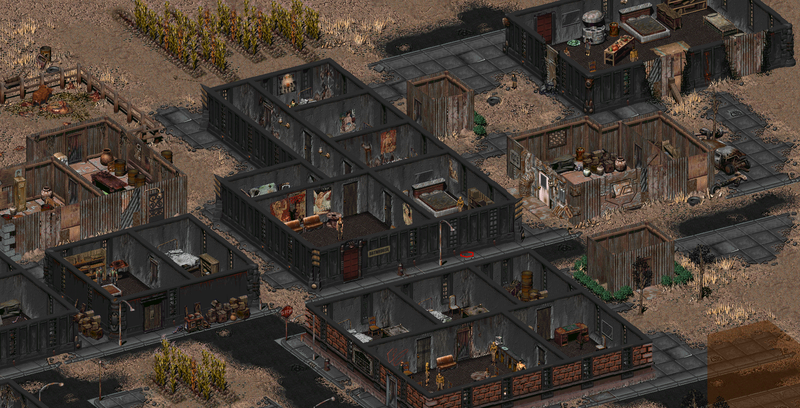 I sadly can't help you with the technical matters, but I'd love to try Fallout 2 with improved towns! Please add more screenshots of your work. 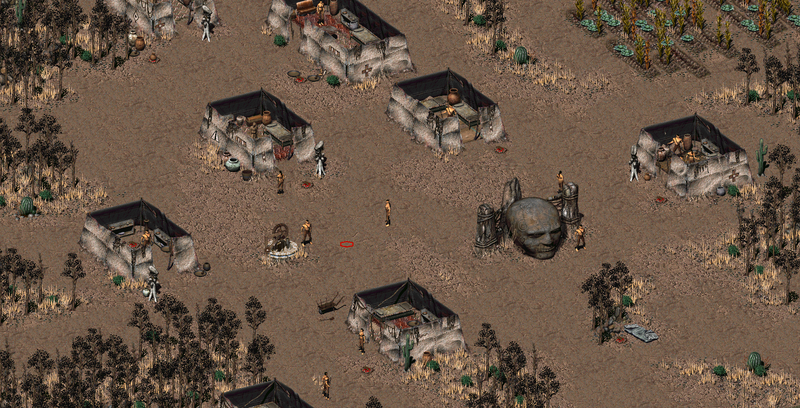 Restoration Project is already awesome, but your map mod can become a great addition to it. Got the spoilers to work now thanks to you! I've added a link where you can now download the maps, I've edited most areas like I say, I will be updating with more info on the change log and screen shots of those areas when I have a bit more time! The Den BOS bunker in RP 2.3.3 already has a working elevator which can take you down to a room with lockers and other stuff. So you're going to remove it? This looks pretty cool. I'm looking forward to trying this out. Thanks for making these. Must have changed in one of the more recent updates, I'll probably revert back to that version then as it does pretty much what I intended I guess. Loving those changes so far How long will it take you to complete this mod? I'd love to see more content for San Francisco (it's crazy how little is there to do besides the main quest and the Dragon/ Lo Pan quarrel) as it looks terribly rushed. San Fran doesn't even have a bar or a hotel... what do you think about adding a beach section? With sea waves, seagull cries, fishermans, merchants with little stalls, streetfood sellers and ordinary people walking... normal, everyday life instead of shi vs hubologists conflict. I'd love to see more content for San Francisco (it's crazy how little is there to do besides the main quest and the Dragon/ Lo Pan quarrel) as it looks terribly rushed. San Fran doesn't even have a bar or a hotel... what do you think about adding a beach section? With sea waves, seagull cries, fishermans, merchants with little stalls, street food sellers and ordinary people walking... normal, everyday life instead of shi vs hubologists conflict. Not a bad idea, I would like to make some changes to that affect, like I say, I'm not good with adding scripts but I've seen some people have made easy to follow script editors so I might give one of them a go. I'd love to make San Francisco a little more interesting, the ideas you mentioned sound like the right sort of thing! I'll see what I can do. 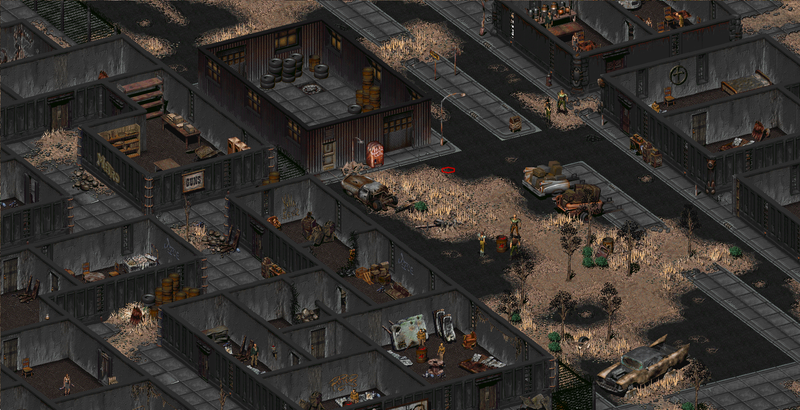 Put all the screenshots of the edited NCR areas so far together so you can see how it all looks in one picture. Planning to put a road down the side of the road on the west side of the ranch map so that also has buildings on its side. That way NCR should finally look like a big town/small city rather than a bunch of randomly placed buildings with no housing whatsoever! I really think someone need to step up and create an RP "spin-off" mod with fixes for all the bugs found last few years, as well as additions like this and balance tweaks. And let's not forget about Lujo "gameflow fixes"
PS: not sure about "new" bar area in Klamath. 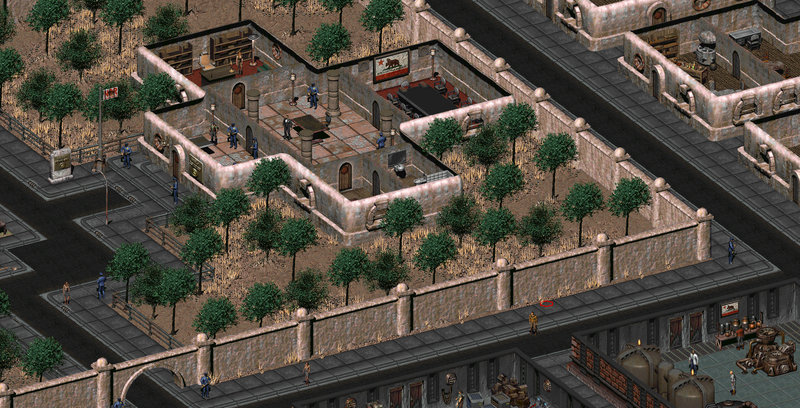 This location was supposed to be deserted - there are only rats. And car part of course. Otherwise how can you explain such valuable thing wasn't stolen yet? Regarding the Klamath bar area, the idea is that I'll probably move the car into the garage near the top and make it locked from the inside so it can only be accessed once you go through the rat infested caves. The area with actual rats is all enclosed otherwise in the mall. Rats don't normally run around in the open so it makes sense people live there. Keeps the story intact but opens up a lot of wasted map to be used. I couldn't agree more, this will be like extension to the Restoration mod and will require RP to be installed first. Is there any progress worth mentioning? How many things/locations left to do? I'd say it's about 70% done already, but progress will be slow for next couple of months as I go on holiday on Thursday, change job soon after that and move home! So don't expect much till late June. 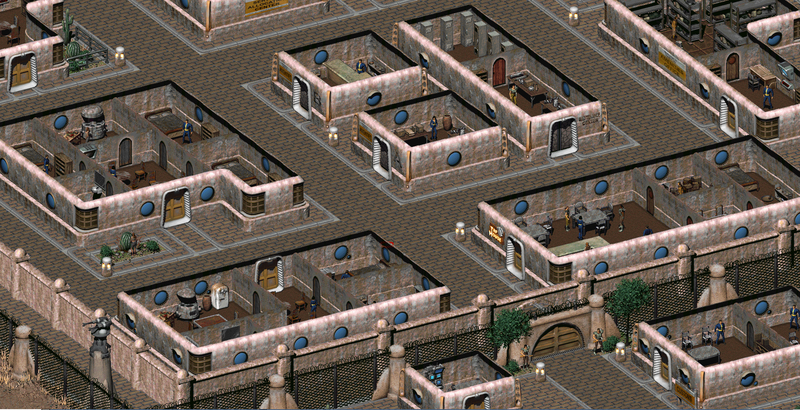 Have you added a whole new city district to Shady Sands? I mean the residential area. 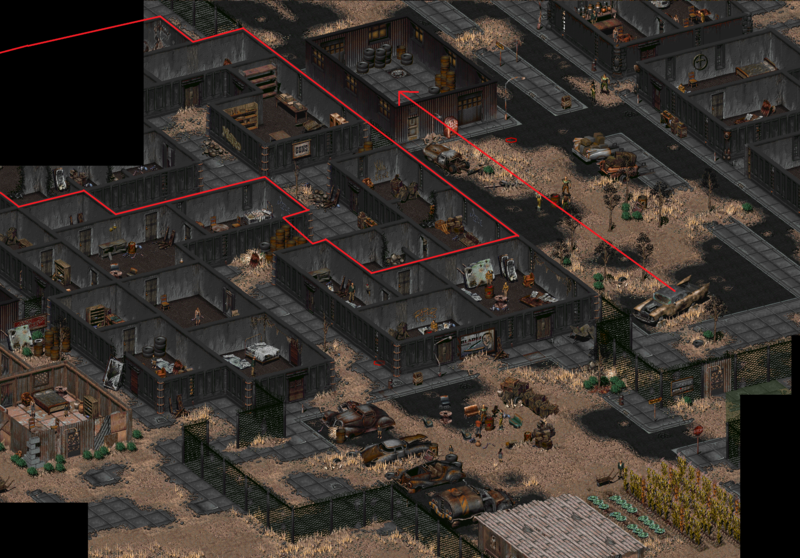 I've still not forgotten about this brilliant mod (or mod idea) and I have some hope left. 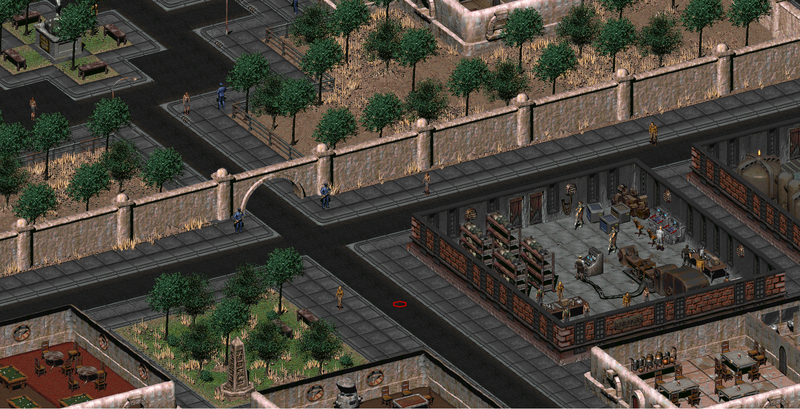 @Nineeva, maybe you could just send files to someone who may be willing to complete this mod? Or just make parts of it playable. Sorry for necroing this thread, it's just too good to be left alone in my opinion. Killap isn't active and *maybe* the modding community could think about enhancing RP even further. I would welcome such an addition, but I would rather advocate to explicitly separate "bug fixes" and "new features". RP has a goal, and it's to restore unfinished content, not to add new one (although admittedly, it's overstepped these bounds here and there). Limited scope might seem restricting, but on the other hand it actually makes it completable, not an ever-moving target. By stepping up I didn't meant someone needs to add new quests or such. RP had lots of bugs (like random encounter NPCs unable to attack , broken scripts, broken balance, some pacing issues, etc. Most of it's scripts were written in the early years of sfall. Many of these issues were fixed, but they are scattered throughout the forum posts, and other mods like mine EcCo or Lujo's gameflow fixes (which is included in EcCO as well). So we should create a github repo with latest RP's scripts and such (which I already tried, but nobody used it), gather all fixes and start bundling them together as an unofficial patch for the RP of sorts. In short, I don't think it really needs new features, rather fixing bugs, balance and design flaws. Improved maps I think is a great deal for players to give RP yet another run, we could try making them optional in the installer. Along with latest sfall features, cool mods like Inventory Item Sorting, people could find a refreshing experience, yet in the same vain as the original game.